Wheel formula and suspension type: suspension: spring, front axle suspension, 6x6, wheel base: 3500 mm, front tires: 13R22.5, rear tires: 13R22.5, dual wheels. Cab comforts include power windows. 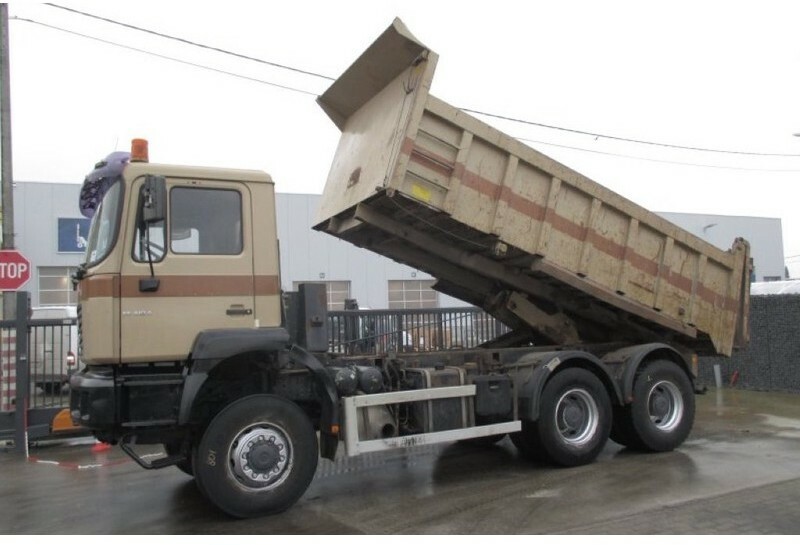 Bodywork: loading length: 5200 mm, loading width: 2320 mm, loading height: 1350 mm, rear tipper. The mileage is 508820 km.